The 1969 Chicago Cubs: The Best Team that Never Made the Postseason? Between 1967 and 1972 one of the best teams ever assembled played in the friendly confines of Chicago’s Wrigley Field. The Cubs during those years were perennial favorites to win at least the National League championship. Anchored by three Hall of Fame players—Ernie Banks, Billy Williams, and Ferguson Jenkins—and a Hall of Fame manager, Leo Durocher, they should have dominated the league. 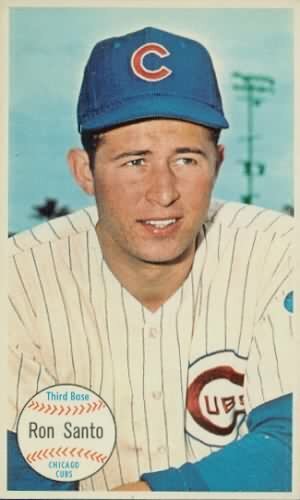 A late arrival to the Hall of Fame, Ron Santo, also played for them. But they never even made the playoffs. During that six year stretch the Cubs had a record of 515 victories versus 449 losses. During that time, the Cubs finished second three times and third three times. They did not take a single flag, not a World Series, league championship, or division title. A core question is why the Cubs failed during that six year period when it looked like on-field talent was in the team’s favor? No question, they had the best starting lineup in the National League. Ernie Banks at first, Glenn Beckert at second, Don Kessinger at shortstop, Ron Santo at third base (who should probably be in the Hall of Fame), and Randy Hundley at catcher filled out the infield. Billy Williams and others secured the outfield, and a stellar pitching staff with three superb starters in Ferguson Jenkins, Bill Hands, and Ken Holtzman ensured the opposition did not score many runs. Regardless, they did not win. Then there was 1969. The St.Louis Cardinals had cruised to the National League championship in both 1967 and 1968, but in 1969 the Cubs burst out of the gate and no one believed they could be caught. On September 3 the Cubs led the second place New York Mets by five games, with 26 left to play and more than half of them at Wrigley Field. The Mets caught them, taking 23 of their last 30 games, and won the National League East by eight games. Meantime, the Cubs went 8 and 18. It was a stupendous collapse, one worthy of memorialization in song and story. In the end the Cubs finished second in the National League Central with a 92-70 record, but they were still a distant eight games behind the Miracle Mets. So why did the Cubs collapse in 1969? The best evidence, offered in Durocher’s Cubs: The Greatest Team that Didn’t Win (Taylor Pub. Co., 2000), by David Claerbaut, concludes that their offense failed, their defense failed, and most importantly their will power failed. Durocher deserves major credit for the debacle. He refused to rest his stars, and rode his veterans until they were ready to drop. He also feuded with everyone—many of the players, virtually all of the sportswriters, and even the fans. His antics created tension everywhere. As Claerbaut has pointed out: “When people perform in a tense atmosphere, are tired, are led ineffectively, and are then unprepared emotionally for a major challenge, they are likely to collapse. They are likely to choke” (p. 129). Whatever the reason, the Cubs certainly choked in 1969. While the team remained in the hunt for a division title for several years after the 1969 season the Cubs never challenged for the National League East in the same way again. The Cincinnati Reds and the Pittsburgh Pirates emerged as the class of the league and dominated the early years of the 1970s. Ron Santo, finally made to the Hall of Fame in 2011, just after his death the year before. To retool the team, which really didn’t yield much success until a division championship in 1984, Cubs management dispersed many of its players elsewhere and in 1972 finally fired Durocher as manager. Seemingly, Durocher’s departure raised the Cubs of that era to an immortal status. While there have been very good Cubs teams since 1972, some with Hall of Fame ballplayers, none have captured the imagination in quite the same way as the Banks/Williams/Jenkins led teams that failed so magnificently. Those later Cubs teams went on to win division titles in 1984, 1989, 2003, 2007, and 2008, as well as a wild card playoff spot in 1998, but no pennants or World Series. Even so, this collection of players from the latter 1960s and early 1970s that never reached the playoffs have a special place in MLB lore. Banks, Beckert, Hands, Hickman, Holtzman, Hundley, Jenkins, Kessinger, Santo, and Williams live on in the memory of Cubs nation. Ryne Sandberg, Rick Sutcliffe, Mark Grace, Andre Dawson, Sammy Sosa, Mark Prior, and Lee Smith were all outstanding players who labored with terrific Cubs teams since that time, but they do not have the appeal of those earlier Cubs managed by Leo Durocher. 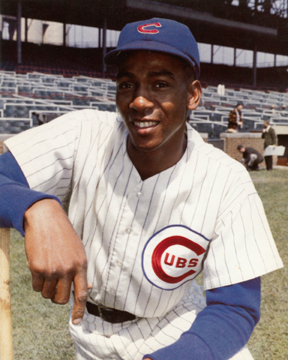 I regret that Ernie Banks and Ron Santo, to say nothing of the others, never played in the postseason. The Chicago Cubs seem to be returning relevance to the race in the National League Central Division. I would certainly like to see this team succeed sooner rather than later and win a World Series. Perhaps then this talented group of players will succeed vicariously. 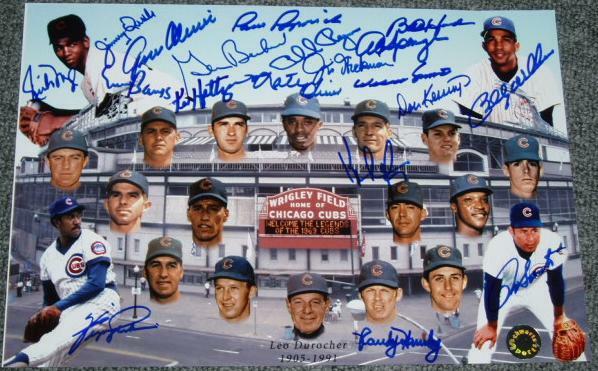 This entry was posted in Sports and tagged Bill Hands, Billy Williams, Chicago Cubs, Don Kessinger, Ernie Banks, Ferguson Jenkins, Glenn Beckert, Ken Holtzman, Leo Durocher, MLB, New York Mets, Randy Hunley, Ron Santo, Team Collapses. Bookmark the permalink. 13 Responses to The 1969 Chicago Cubs: The Best Team that Never Made the Postseason? I’ve heard other theories (such as the tiring effects of day games in an era of less luxurious travel) to explain the Cubs’ yearly collapse, but Durocher must be a big factor in derailing these talented teams. My impression is that his colorful character traits generally ‘wowed’ Chicagoans to a great extent and distracted them from really assessing the negative impact it had on the team, and he became a legend in spite of these failures. But surely he planted the seeds of the tensions that led to Lee Elia’s all-time great outburst about Cub fans! Great comment Doug. Thanks. I think Leo overworked his best players and really annoyed them as well. The result was that they ran out of gas. I wonder what a Sparky Anderson or an Earl Weaver would have been able to do with them. I’d be willing to bet they they would make eat least one postseason appearance. There was an interview with Banks on the radio (in Chicago) the other day. One thing I didn’t realize was that the Cubs owner convinced him to sock away half his salary in a retirement plan, to become available when he turned 55. Unlike many of his contemporaries, he has retired very comfortably. Great comment. Thanks for sharing it. If you go to Baseball-Reference.com and look at the standings, there is a column called the Pythagorean standings. This is the standings that should have been based upon the team and individual stats. You will notice that under Durocher’s leadership the Cubs consistently won less games (and thus lost more games) than predicted. One year was a -10. This shows that the problem probably was with the leadership of the team; namely the manager, as you have stated in your write-up. Thanks much for this comment. The year you talking about as -10 games is 1970. Definitely another disappointing year. I’m pretty sure the projected Pythagorean W-L is not the basis sabermetrics uses to measure manager’s impact. It simply takes the number of run scored and runs given up to estimate the number of wins. Pythagorean W-L is more a measure of good luck vs. bad luck based solely on runs. I don’t believe sabermetricians assign good luck or bad luck to the Manager, but certainly they will receive the blame. The belief is that the luck will average out over a career. In 1969, the Mets were projected to win 92 instead of 100 and the Cubs performed about as expected with a projection of 93 vs. 92. Obviously, the Mets had some luck on 1969. I’m not a sabermetrician, but I have a hunch that great pitching teams have more of a chance of exceeding the Pythagorean projections. I think this is because they can win a lot of close games with great pitching. I look at the 2005 Champion White Sox which were similarly pitching centric as the ’69 Mets and they won 99 games vs. a projection of 91. Looking at the Cubs as a young fan of that era and as objectively as can be, I think the 1969 Cubs were only built to win no more than 93-94 games. Although they had four Hall of Famers on that team, the pitching after Jenkins and Hands was very suspect. Hotlzman was very young and had better years later. Looking at individual ERAs, one has to realize the ERAs for the era were much, much lower than today. This is evidenced by the Mets’ ERAs and their team ERA of 2.99. In 1967 the cubs were tied for first after 96 games, lost. 68 great hope, lost. 69 the “miracle mets” leo’s fault or ??? One small thing … the Cubs finished second in the NL *East* in 1969. There wasn’t a Central division that year.